Shaping Culture: Accidental or Intentional? Whether you’re unsure about selecting a major, trying to figure out what you can do with your major, or discovering that you no longer have any interest in pursuing a career path—you have come to the right place!  Buffalo State offers 79 undergraduate majors, 64 graduate programs, and numerous minors and certificates. Figuring out which one is right for you can be intimidating! Studies show that most students change majors at least once during college. In our Exploratory Bengal Community, we assure you that this is nothing to worry about— the route you take is bound to evolve in exciting ways as you grow and learn about new interests. Our Exploratory Bengal Community provides you with faculty guides (and fellow exploratory travelers) to go with you on this journey of a lifetime! Some of the activities you will participate in may include visiting Old Fort Niagara, volunteering, attending a Bengal game, meeting for lunch or dinner with faculty and fellow explorers, visiting our Cultural Corridor or just enjoying a study break over cupcakes.